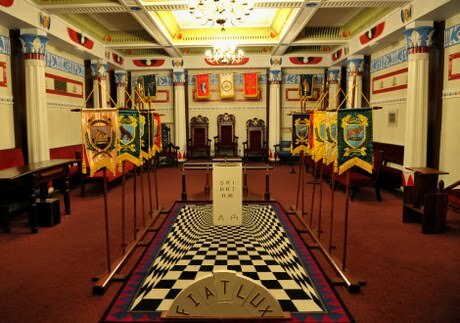 At a recent talk I gave to Minerva Lodge which is based at the Liverpool Masonic Hall in Hope Street, I had the pleasure of being shown around the building, finding a labyrinth of passageways leading to beautiful lodge rooms, ante-rooms, office rooms, corridors with ancient Masonic items on display and magnificent dining rooms. The building certainly reveals an enigmatic character, and one could easily get lost within the maze of corridors and doorways. Many lodges still meet there. 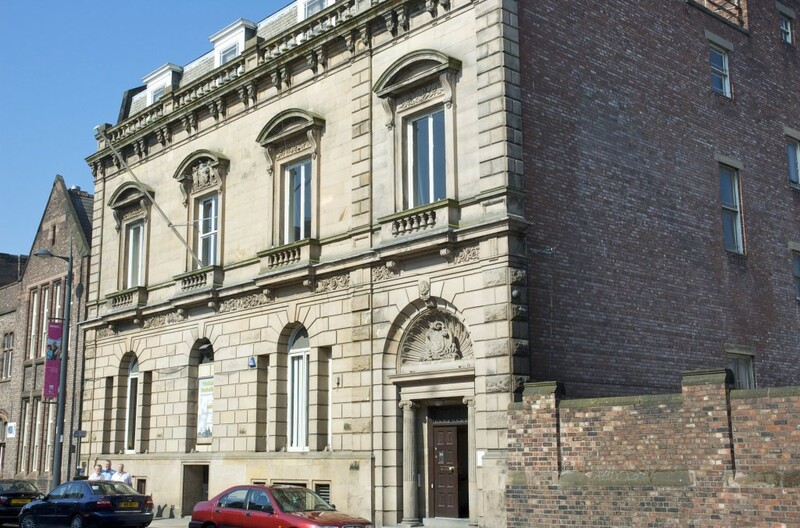 The history of Liverpool Masonic Hall is one of expansion and change; a committee was formed for the specific duty to purchase a property for Liverpool lodges to meet, a house in Hope Street being bought in 1857. 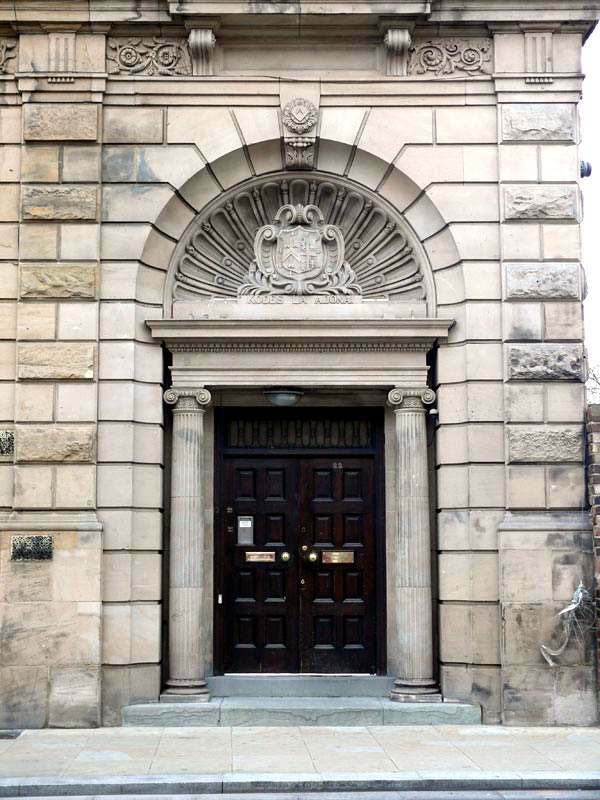 The Masonic Hall was opened the following year after some alterations, but by 1872 the property was demolished and the corner stone of a new specially built Masonic Hall was laid on the 2nd of November with a full Masonic ceremony, with local Masonic dignitary Lord Skelmersdale doing the honours. The Hall was ready two years later, but had to be extended again by the 1920s, an indication of the growth of Freemasonry in the area. A strip of land next to the building was purchased and by 1932, the extension was completed. The building is certainly worth a visit, a particular highlight of mine being the Egyptian Chapter Room.